1. Should I Sell My House? 2. Where Do You Start? 10. What If Buyers Aren’t Impressed? Thank you for visiting housebuyers4u.co.uk and taking the time to read this guide. More and more people are seeing auction houses as a viable option for them to sell their homes. If you are relatively new to to the auction house process or even an experienced auction house seller we are positive this guide will be of help to you. Our Ultimate Auction House Guide will take you through all the major steps involved in selling your house at auction including, choosing the right auctioneer, setting the guide and reserve prices, preparing your house for auction & much more. Why Should you Sell your House at Auction? There are many reasons home owners pick the auction house as a possible house selling option. We have outlined some of the reasons below. Is my house suitable for the auction house process? It seems like a obvious question but it is a very important one. It's quite well known that auction rooms tend to attract buyers who are looking for more of a renovation project than somewhere to live with their families. It may be that your property is unique in some way which makes it difficult for estate agents to value correctly. In these circumstances an auction will help determine the market price for you, as bidders will pay the price they feel it is worth. You will also, more than likely find problem properties in there that have just proven very difficult to sell using conventional methods. Selling via auction will hopefully end with a definite sale with no chance of it falling through. Other circumstances include that you simply need a quick, hassle free house sale. This could be because you are planning to move abroad and need the money as quick as possible. You can sell your property fast - The auction house process is much quicker than the more conventional way of selling with an estate agent, much of the work is done before the hammer falls. Once this happens, contracts are exchanged almost immediately and you can expect completion within 28 days. You can sell your property for more - Because of the nature of the auction house process, it is very possible that you receive a higher selling price for your property especially if there are 2 or more interested parties and they enter into a bidding war. It's the perfect market for 'unique' properties - An auction house is the perfect place for properties which are in poor condition, have unusual features, are hard to value or even those which have been repossessed. An auction house can be the solution for all these issues. The contract is legal & binding - Once the hammer falls, the contract becomes legal and binding. The buyer has to pay a 10% deposit and then come up with the remaining 90% within 28 days. This will put your mind at ease right away as oppose to selling your property in the conventional manner where there is always a chance the buyer may pull out last minute. 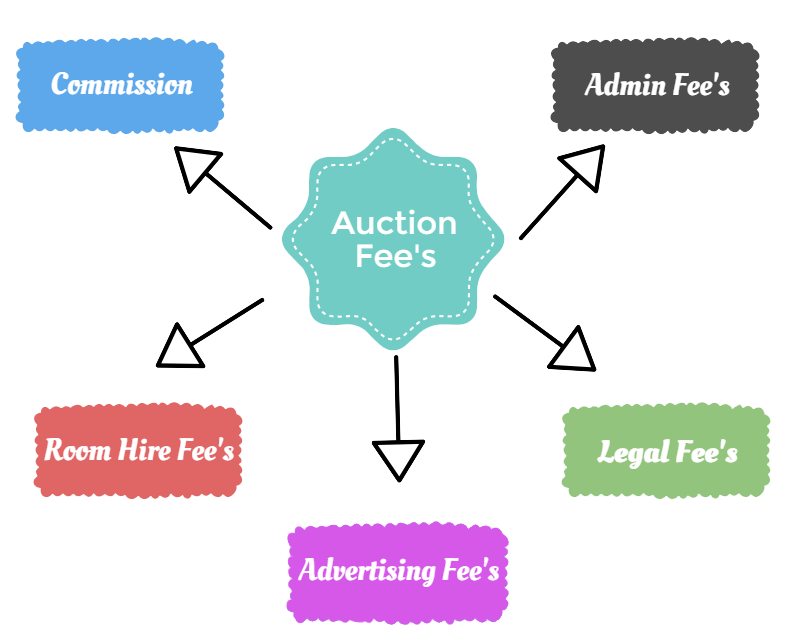 Once you have decided to sell at auction, you will need to find a suitable auction house. There are a number of auction houses available – some who specialise in just auctions or there are those who are regular estate agents but have a auctioneering division within. Just as you would do if you were selling your house with an estate agent the next process is pretty simple, go out and find the right auction house that caters for your needs. Remember, many auction houses are different & appeal to different groups of people. Some are known for advertising particular types of properties, so while researching if you come across an auction house that lists a lot of repossessed properties, it may not be the best idea to pick that one if you are trying to sell your 3 bedroom detached house. Also keep in mind that the cheaper option is not always the best. Using more established auction houses can be advantageous as they often have the largest database of potential purchasers. This basically means your property will be seen by a larger group of people which will hopefully lead to greater success come the day of the auction. Below we have complied a list of auction houses across the UK. Although selling your property at auction is quick, it not always the cheapest. There are some extra fee's that come with selling your home at auction. Be sure to to do your research as fee's for each auction house may vary. Before the auction begins you will need to set a reserve price for your property. A reserve price is the lowest amount you will accept for your property and it is kept private between you and the auctioneer. We recommenced discussing this with a experienced auctioneer as they will have the best idea on what price to reserve your property at. Work with them, tell them how much you want and then decide a reserve price together. It is very important that you pick a figure that you are happy with as once the price has been reached, there is no going back and your property will be sold. Saying this, don’t worry if you realise you’ve set your reserve a bit too high, you can still negotiate with a buyer after the auction. We will discuss this in a bit more detail later in the guide. The guide price is basically an indication of the price that the property is expected to sell for and what the vendor is hoping to achieve. Your auctioneer will help you decide this. It is important to keep the price reasonable so potential buyers are willing to bid on it but also not keep the price too low as it may put people off thinking they will have to get into a bidding war thus driving the price up significantly. Should I Accept an Offer Before Auction? It is perfectly normal for a potential buyer to try & entice you into selling up by putting in a bid for your property before the auction. There are a few things to consider before contemplating their offer. With an offer being made you also get an added bonus – now you know how much buyers are willing to pay for your property and this can help in determining your market and setting your reserve price. Once the auction house catalogue has been produced you should make sure your property is in good shape because viewing arrangements will have been made for potential suitors to check it out. There are many things you can do impress buyers into making a bid for your house, these include de-cluttering your home and getting rid of excess items, enhancing it's kerb appeal so it looks great on the inside as well as the outside and also improving the lighting so potential buyers can see everything properly. What else can i do before auction? If the right buyers are not in the room on the day, you could lose out. For your property to get maximum exposure you should also take the initiative & advertise it as much as possible. Be sure to tell your friends, family and any colleagues about your property & post it on all your social media. It may be that none of them are interested in your property at all but they could know someone who is. When the big day finally arrives, you are under no obligation to attend, but we strongly suggest you go along. Going to an auction is an experience in itself, seeing the bidding live, listening to the hammer go down & the general atmosphere is great to witness & can prepare you in case you ever find yourself having to use an auction house yourself. However, if for whatever reason your property fails to reach it's reserve don't despair. If you still really need to get rid of your property, it is possible for you to negotiate a price with a buyer after the lot has finished. The auction terms and conditions still remain, and as long as a price is agreed, then a deal can go ahead. You are under no obligation to attend but it is recommended. You will gain some valuable life experience by going along which may help you in future. If your property fails to reach it's reserve, do not despair! It is possible for you to negotiate a price with a buyer after the lot has finished. The auction terms and conditions still remain, and as long as a price is agreed, then a deal can go ahead. We hope our ultimate auction house selling guide has been useful to you and given you all the information you need to sell your house at auction. Remember, you can always revert back to our guide if there is anything you want to freshen up on before you proceed! This just about wraps up our guide, from everyone at Housebuyers4u – we wish you the best of luck with the sale of your house at auction.